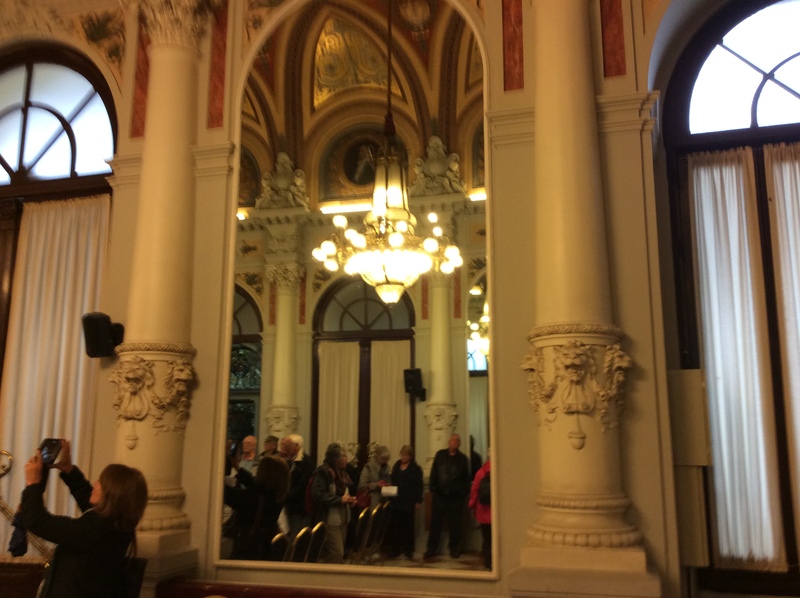 What better way to spend a rainy day in Malaga, than in interesting buildings and museums ! 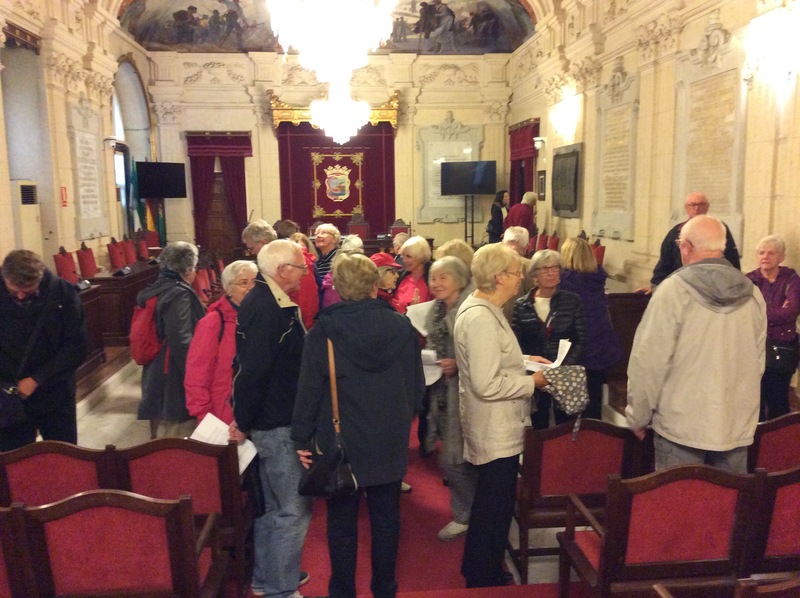 We started in the Town Hall, where we saw the wonderful stained glass panels of significant events, such as the arrival of Isabel and Ferdinand in to Malaga, which were made by a Parisian firm. 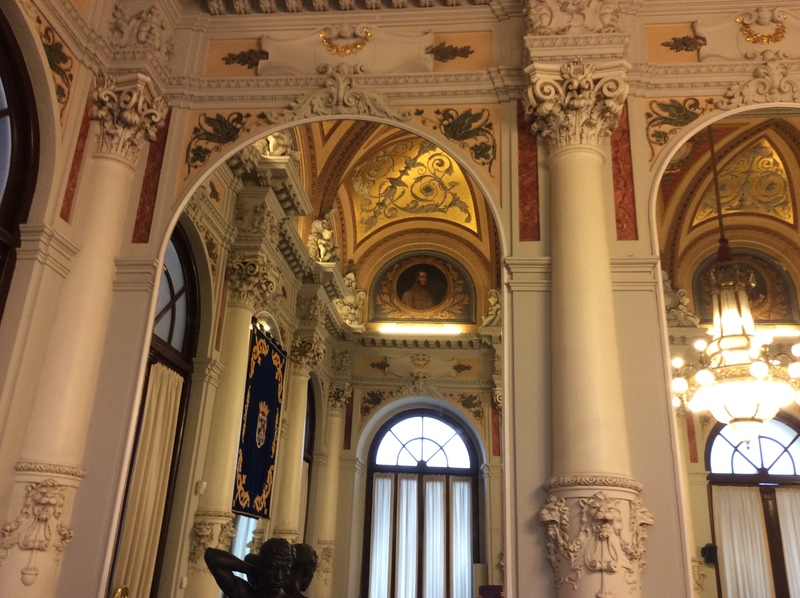 Then on to the Council Chamber, which has a ceiling depicting memorable events in Malaga, such as the sinking of the SMS Gneisenau, in December 1900, which cost the lives of 40 crew members and some Malaga residents. The crew members are buried in the English Cemetery, which some of you have seen. Due to the kindness and help given by Malaga, the City was awarded the Title “Muy Hospitalaria” (very hospitable) by the Spanish Crown. 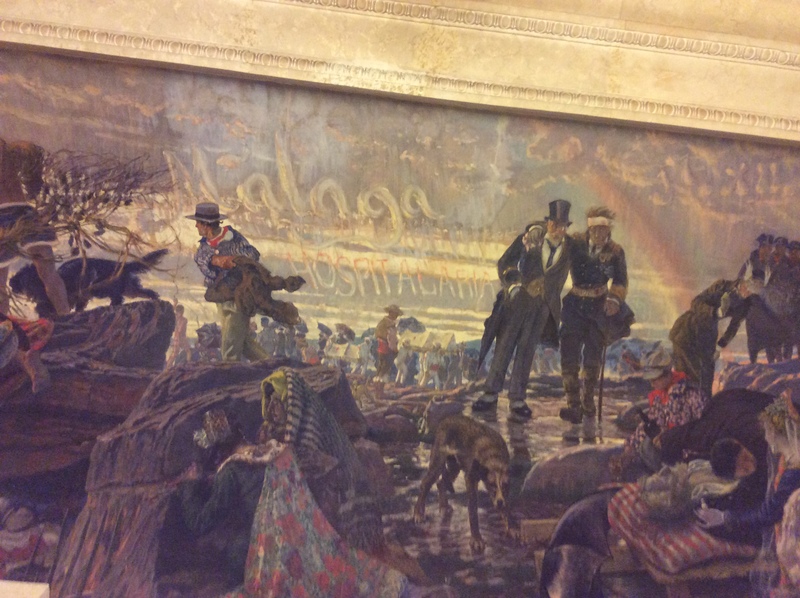 This is written into the painting. 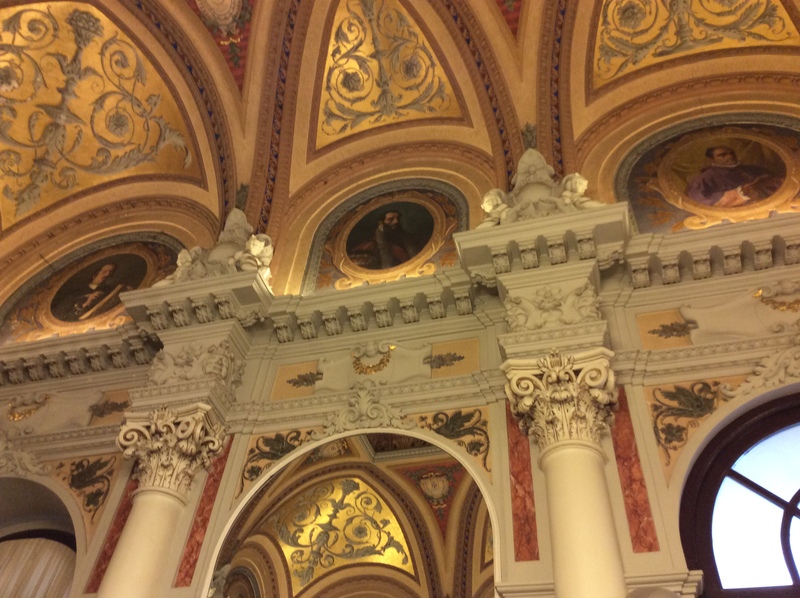 and a highly painted ceiling. Around the ceiling are well known Malaguenos – only one woman is included, Rita Luna, who was a well-known actress in the 18thC. Flanking the entrance to this salon, are 2 enormous paintings, one of Christopher Colon (Columbus) in La Rabida, the Monastery where he stayed before embarking on his voyages. (Some of you visited this Monastery with me on the CC trip in 2013) The other depicts the 2 fated lovers ” Los Enamoradas”, in the legend of the huge rock near Antequera. An exhibition of 150 years of Police in Malaga was on display on the ground floor, which was unexpected and interesting ! Outside into the rain for the short walk to the former Post Office, now owned by Malaga University, to see some Phoenician and Roman remains before a coffee break. We met up again for our appointment at the newly opened Museo de Malaga and by golly, was it worth waiting for ! It is a wonderful building, the former Customs House, which is very light and airy with high ceilings. This Museum is the largest private collection of instruments in Europe, with over 400 from around the world. 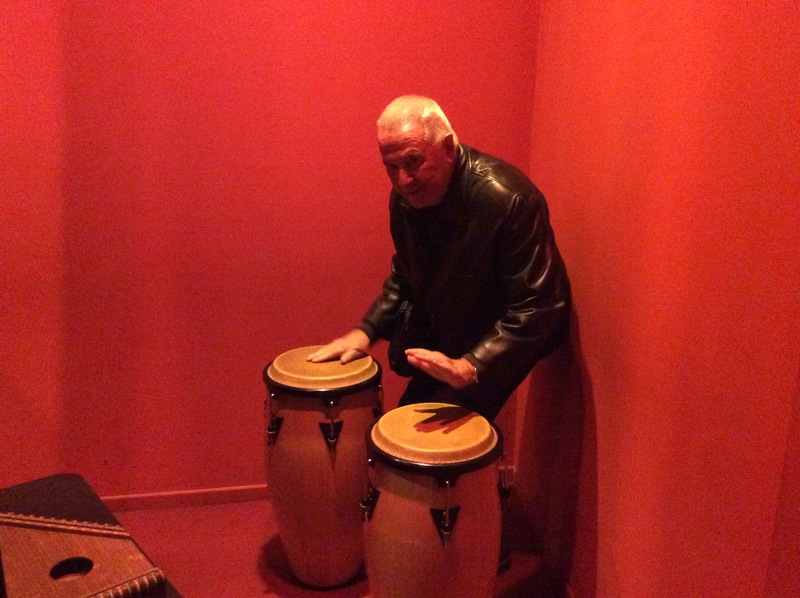 It is very much an inter-active Museum where you are encouraged to try instruments. 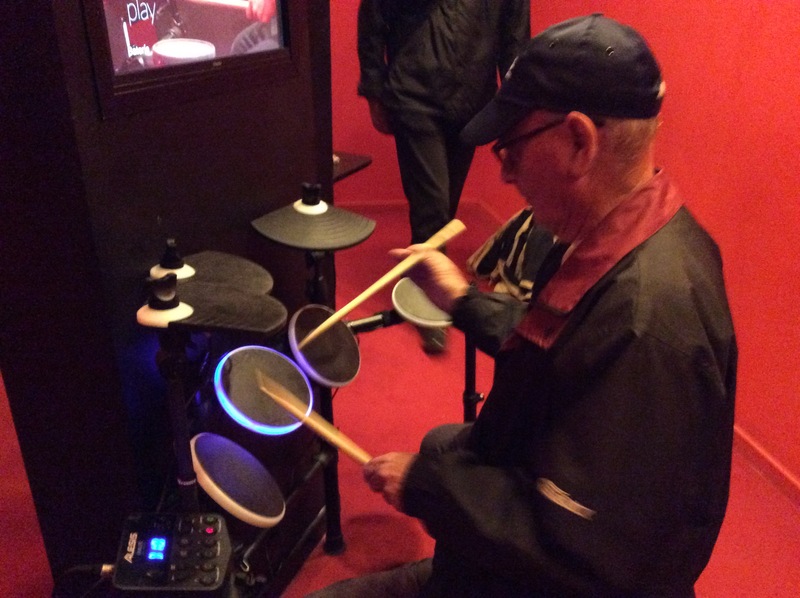 It was very interesting to hear some confessions from some of the group ” I used to play the violin”, “I used to play the cello”, “I wanted to play the guitar but ended up playing the accordion”……..many of us “had a go” with the instruments on offer. There is also a glass floor showing former medieval remains. The shop is lovely with a selection of inexpensive gifts and memorabilia. Whilst looking around the shop, a grand piano plays at the far end – at least, the keys are moving ( all done electronically). Sometimes there is so much new information to take in, it is good that we have a hand-out to refer to and refresh our memories. 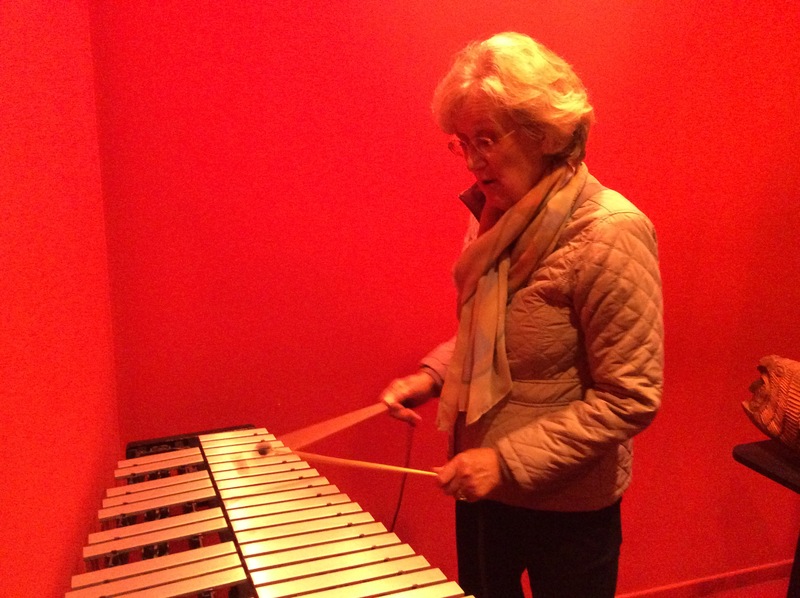 All in all, a good day – we had mostly kept out of the rain, seen and learned new things for our ageing brains and reverted to childhood, hitting a xylophone and banging a few bongos !